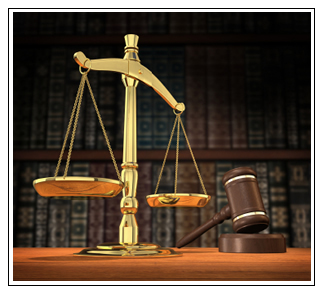 What is Burden of Proof in Civil Litigation? Most people know that in the United States, in a criminal case, someone is innocent until proven guilty. Also, most people know that the burden of proof for showing guilt is “beyond a reasonable doubt.” But in civil litigation cases, such as a car accident or medical malpractice trial, the burden of proof is different and the trial is also handled differently. In a civil case, the plaintiff must use evidence to show that he is deserving of the damages and compensation the lawyer is requesting. As mentioned, a criminal defendant must be proven guilty “beyond a reasonable doubt”. In effect, there must be a certainty of guilt in order to convict someone accused of a crime. However, in a civil case, the lawyers are not seeking to take away someone’s freedom or liberties. As a result, the level of proof required is lower. Proof required in a civil case is normally described in one of two ways. The first is called a “preponderance of the evidence,” which means that, based on the evidence taken as a whole, one side has proved his case better than the other. The other standard is called “clear and convincing evidence.” This means, based on the evidence, it is more likely than not that the defendant hurt the plaintiff and is liable for his actions. In the end, in a civil case, it is up to the judge or jury deciding the case to look at all of the evidence and determine, did the defendant cause the plaintiff’s harm, and is the defendant legally responsible for that harm. Then, if the defendant is responsible, the fact finder decides how much compensation the plaintiff should receive because of the harm he suffered. The Pennsylvania personal injury attorneys of Lowenthal & Abrams have successfully handled numerous civil trials on behalf of our clients. If you or a loved one has been injured as a result of negligence by another, please contact us today at 888-979-7298.